How Do I Know if My Significant Other is a Narcissist? Narcissists are so good at what they do that most victims have no idea what kind of person they really are dating. It took me months to realize this even when I had friends and family telling me that they didn’t like my boyfriend, Alex, and didn’t support our relationship. Even after all of these statements were made, I still defended him and made excuses for him, especially saying things like “you don’t understand him as I do” or “you just have to give him a chance, he just comes off a little rough at first” or “he’s going through something right now, so he’s not himself”. Even if there is some truth to those statements, this is another way we are trying to convince ourselves that everyone else is wrong and that you are in no danger. Unfortunately, that may not be the case. 1. 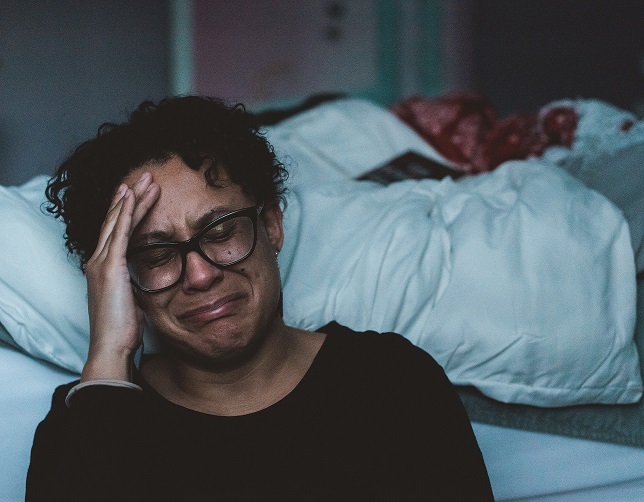 Throughout the relationship, there are MANY red flags that pop up, but you force yourself to ignore them because “you love them enough to overlook that one flaw” or “this is probably how all relationships are”. 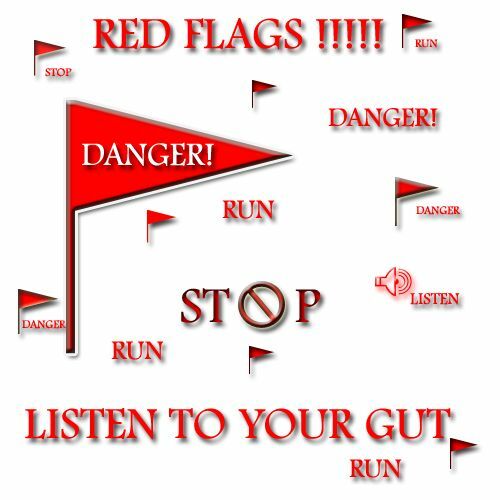 I can’t even name the MANY red flags that kept popping up when I was with Alex. Some were small, like how he rarely paid for me when we went on dates and when he did, he would act like he was spending a fortune on me and make me feel guilty for making him spend money on me, or some red flags were big, like how he constantly tried to convince me why I should distance myself from my family because he felt like they “didn’t treat me right”. Apparently, he was the ONLY one who would treat me the way I should be treated, or so he would tell me. Don’t let these red flags get pushed down and ignored. The BEST way to figure out if it is an actual red flag or something that is normal in a relationship is to talk to your friends. Explain the situations and how you felt, and then make a decision based on their advice to you. Chances are, it might be totally normal, but sometimes it might be something you should pay attention to and possibly be concerned about. 2. You are never their priority or main concern unless it benefits them. Do most of your conversations have to do with THEIR problems and struggles in life? How often do you feel like they truly listen and are concerned for you when you tell them about YOUR problems or struggles? How much time is spent comforting THEM or making THEM feel better? Do they ever reciprocate? I would say that Alex and I easily spent 95% of the time talking about HIM and his problems and struggles. I was always comforting him and reassuring him that life was not as terrible as he would always perceive. The ONLY times he EVER seemed to be concerned for me was when he would try to make others in my life look bad and convince me that he was the only good thing in my life wanting me to be happy. There was even a time when I was hiking with a friend and had a mother moose charge at us! I could have died if the moose hadn’t stopped and left us alone after chasing us off. When I texted Alex and told him, HE DIDN’T RESPOND! Even when I told him and our friends about it in person, he had no reaction or ounce of concern for me while everyone else obviously did. My life was ALL about HIM. No one else. I couldn’t even think about myself and my well-being when I was with him. 3. They use guilt trips, puppy dog faces, and their depression to manipulate you into doing what they want. I can’t even begin to count how many times I canceled plans with friends, ditched class, or even didn’t do my homework because Alex didn’t want me to leave him. Even when my girlfriends wanted to plan a girls night since they hadn’t truly been able to hang out with me alone for a few months, Alex convinced me to talk to them and let him come with us. They weren’t very happy about it, but they put on a smile for me so that I wouldn’t feel bad. I often would cut trips short or leave my friends shortly after I had arrived to go back to Alex because he would be texting me about how depressed he was and how “no one cared” and how he “just wanted to jump off of the top of the parking garage”. Threatening suicide always got me to run back to him. When Alex first got his puppy, he would guilt me into always being the one to take care of her. He would threaten to give her away or even deal with her while he was angry which usually ended in him almost hurting her in those cases. I loved that little puppy with all my heart and knew how much time and effort went into having a puppy who still needed to be potty trained. For fear for her well-being and of losing this sweet, happy puppy that had a special place in my heart, I spent hours at night always being the one to calm her down when she was whimpering, taking her outside to potty train, making sure she got fed and had water to drink, and constantly bringing her over to my apartment to spend the day or even night with me so that Alex could “take a break from her”. I was always the one to hold her wherever we went because he was usually frustrated with her. Today, he still has her and I think cares for her now that she is potty trained and out of that puppy stage. But I do love that whenever she saw me after Alex and I broke up, she was always WAY more excited to see me and spend time with me than she ever was with him. 3. They use the “silent treatment” as punishment. 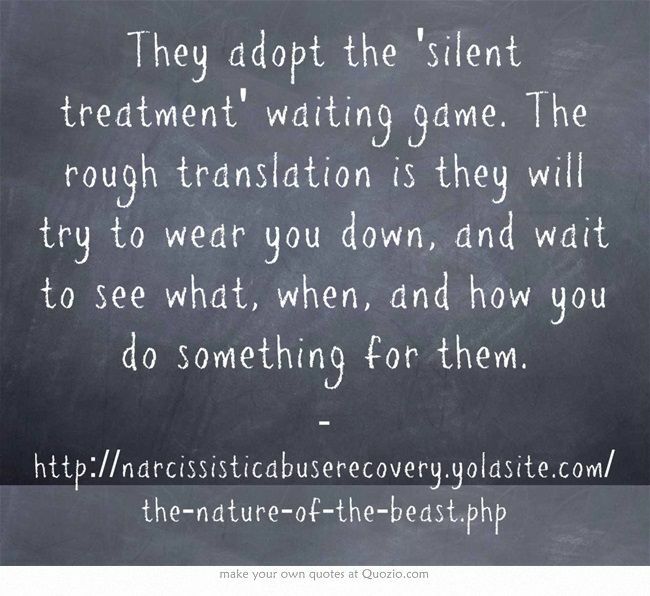 The best controlling tactic that a narcissist uses is the silent treatment. This is their way of making you feel like they don’t need you and an immature way to hurt you. It is said that the silent treatment creates the same chemical reaction in your brain as you would if they had physically hurt you. 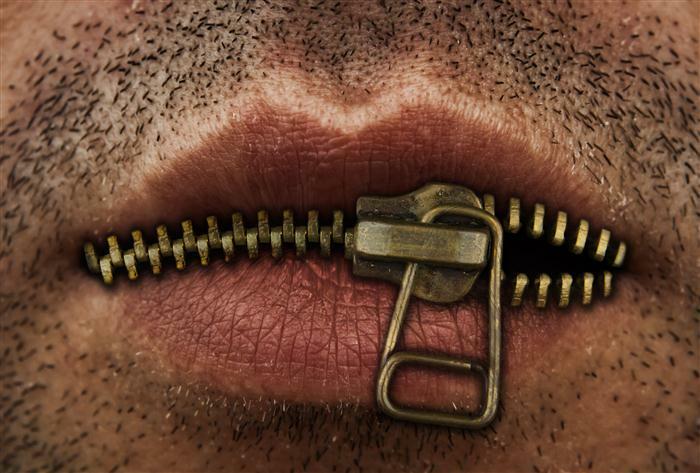 Communication is key in a relationship, and narcissists take that away from you. No matter how much you try to tell them how much it hurts you or how immature they are being, you will never get them to stop. Alex used the silent treatment twice when we were together. Both times I texted him multiple times telling him how hurt I was that he was treating me like this, and how “if you cared about someone, you wouldn’t do something like this to them”. I was a wreck both times. I was extremely depressed and cried a LOT. This is mostly because of the attachment Alex created in me to him. I honestly didn’t know how to be myself anymore or know what to do with myself. Unfortunately, when narcissists do give the silent treatment, the best reaction for you to give is nothing. Do not text them how hurt you are. Don’t text them anything. Don’t show them how this is truly affecting you. Showing them the pain and depression you are experiencing without them gives them power. They LOVE it. It makes them feel in control. Don’t give them that satisfaction. They are giving you an immature reaction to a disagreement or whatever it was that triggered the silent treatment, therefore you just have to wait it out until they are mature enough to come back to you. Be warned: they will never ever take the blame or apologize for what they have done. 4. They are never ever the bad guy or in the wrong. EVER. They will always put the blame on you. How often do your arguments end with you groveling and asking for their forgiveness when they are truly the ones at fault? Do they ever make you feel like you are always wrong or a terrible person even when it was THEIR action or something THEY said but put the blame on you? How often do you hear them apologize to you for anything? Arguing with a narcissist is pointless. They will never EVER admit to ever being wrong or at fault. They may even change their stories to make them become the victim or hero in your eyes. They truly believe that their lies are the actual truth. Alex constantly changed every story about his interactions with others to make it seem like he was being bullied or shut out by others for no reason. I was always there to comfort him, convince him that he is a good person, and even became his puppet by following his orders to talk to the people he was arguing with to try to convince them that Alex was right and that they should apologize to HIM for what happened. When our relationship went truly sour and the sexual abuse began to happen, Alex never ever took the blame even though it was ALWAYS his fault and his actions during each assault. He would always look at me with these terribly sad puppy eyes and say, “this can’t happen again. I told you I didn’t want to kiss you because I knew where this would go. If this ever happens again, we’re going to have to break up.” Even though in my mind I KNEW that I had nothing to do with anything that had just happened, he would actually make me second guess myself. I actually believed that I had a part in each assault. Which is exactly why I did not even realize how bad things had gotten until we had been broken up for over a month. 5. They use more or less physical affection to manipulate you. Whenever they want something from you, they will use the type of physical affection they know you like to try to persuade you to agree with them. They will also withhold physical affection for the same reason; To hurt you and forcefully get you to do what they want you to do, whatever that may be. When the assaults began to happen, he was the one to take things further than I wanted. He would cover up the bad things he was doing by kissing me, which was something I did want him to do. This messed with my head to the point that I didn’t know how to feel after each assault. Did I like that or not? During each assault, he would always use the phrase, “I made you feel good. Don’t you want to make me feel good?” It was terrifying how badly I wanted to force myself do that for him because I wanted to make him happy, but at the same time, how strongly I didn’t want this to go any further or ever happen again. Whenever I would tell him I couldn’t do it, the physical affection ended there. He would then hold off any kind of innocent physical affection until the next assault. Near the end of our relationship, Alex would often withhold every kind of physical affection from me to make me feel terrible and unloved. He was upset that I was conflicted between choosing him or my family. I would try to get him to cuddle me or even hug me but was always pushed away. 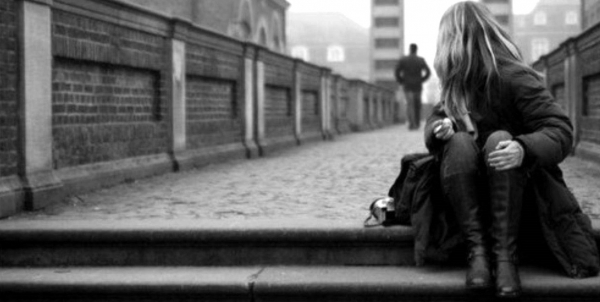 It was extremely hurtful at a time when I needed to feel loved by someone. Even when I would cry my eyes out and tell him how alone and depressed I was feeling during that time when he was fighting with my family and I didn’t know who to listen to or who to even talk to, he wouldn’t care, then vocalize how terrible my family was, and would walk away. Those nights he wouldn’t cuddle me or seem to care if I was there. I was miserable. The only times he would ever show me physical affection was when he was sexually abusing me. I wanted to feel like he loved me so badly, that I almost welcomed the assaults. 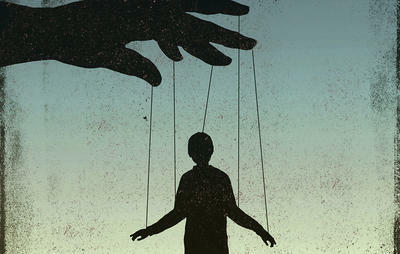 That’s how bad he had control over me, and how manipulative he was. I had completely lost myself. 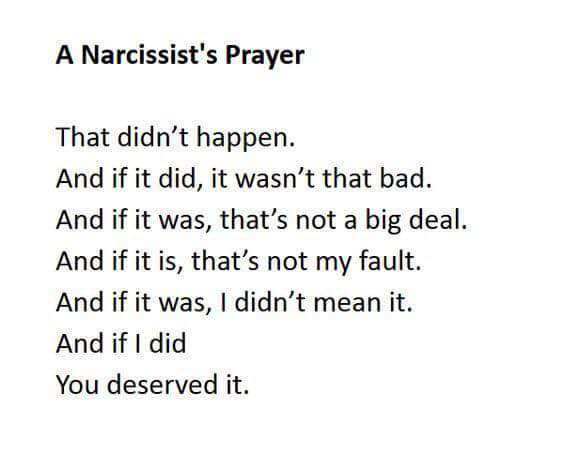 Narcissists are terrifyingly deceptive. It may take a while for you to notice that your boyfriend, girlfriend, or spouse is a narcissist. The best way for you to be able to distinguish between a truly unhealthy relationship and a typical hardship of a normal relationship is to talk through it with someone. Get second opinions. Don’t force yourself to hold this all in and not talk about it with someone else because you don’t want others to think badly of your significant other. It is better to vocalize now than to have things escalate badly as they did for me in the end. I am just grateful that my parents vocalized their bad feelings about my relationship enough to force myself to rethink the relationship. Don’t get me wrong, it was extremely painful and difficult to hear them constantly tell me how they felt about the person I thought I loved, but in the end, I was saved. If you feel that your significant other may be a narcissist after reading through this list, the first thing you should do is talk to someone. If they agree that the relationship is unhealthy and that they may be a narcissist, you need to start thinking about ending the relationship. Narcissists are incapable of changing themselves so try not to get caught up in the fact that you think you could change them. That’s what I thought, too. 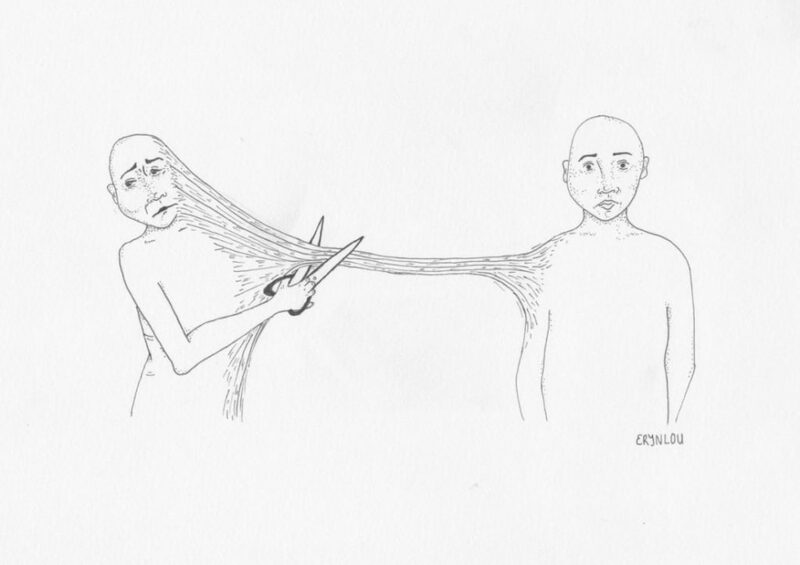 To be blunt, this type of break up will be the most difficult break up that you will ever endure. 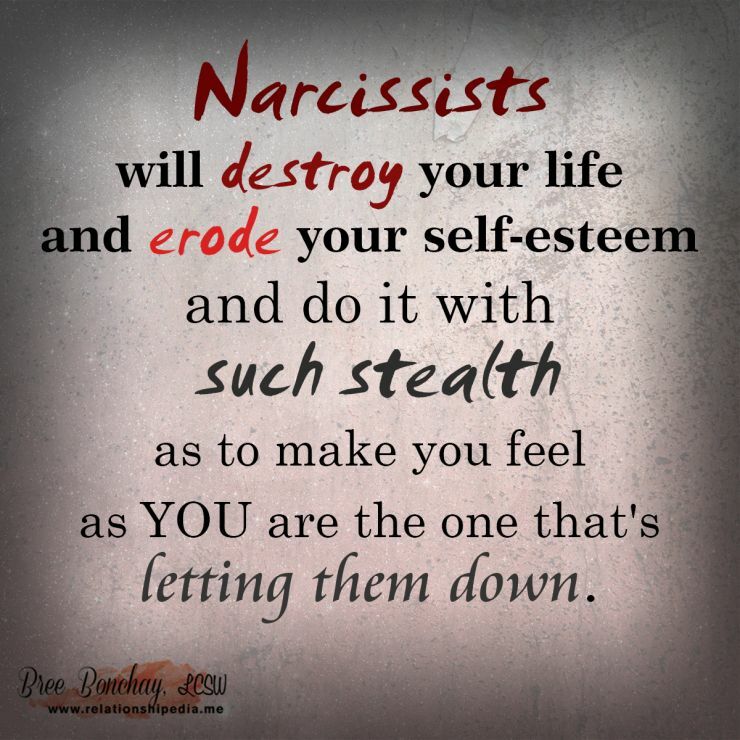 Narcissists create an unhealthy attachment to them that will be extremely challenging to sever. They will try to use their manipulations to convince you to stay with them or even get back together, but you HAVE to be strong. Don’t listen to anything they say. You have your mind made up, and it has to end. You WILL be better off without them, I promise. When Alex and I broke up, I truly did not know how to be myself again. I didn’t know how I was going to be happy again. It took me a month to finally tell people that we had even broken up because I didn’t want to talk about it at all. Without sugar-coating it, you will most likely experience something similar to a drug addict. You may feel major withdrawals, depression, insomnia, loneliness, and any other typical feelings that come with a breakup. The best action to take right after the break up is to block or delete their number and remove them from all social media. Don’t even give yourself the option of contacting them when you are feeling those withdrawals. Find hobbies that will take your mind off everything. Distract yourself in any way. Eventually, you will feel like yourself again and will be able to function normally. 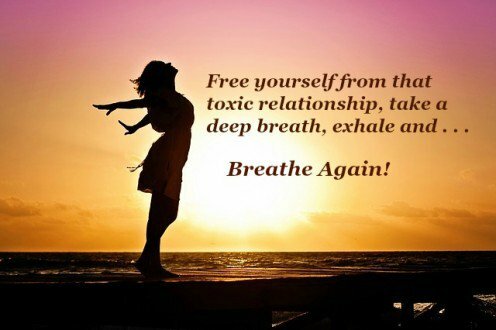 For me, I took about a month to stop feeling those extreme side effects from the breakup and begin to feel like my normal self again. You can do this. And most importantly, remember that you are NOT alone. You have so many other people in your life that love you. You deserve to be with someone who treats you like the prince or princess you are. If any of you would like to talk to another survivor to get advice, to help you through the breakup process, or share your story on my blog, follow me on Instagram @youstillhaveworth, add me on Facebook, or send me an email.